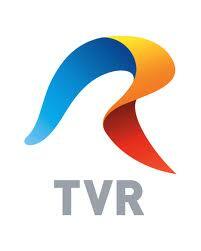 Romania’s national broadcaster TVR announced today the names of the twelve candidates and the songs that will participate at the upcoming national selection which will be held on the 1st of March. As expected, there are some familiar names among the singers but also among the authors. We already knew the names of some of those who had submitted their songs to the Romanian national selection but we needed to wait until the jury reviewed all the submissions before confirming which of them would finally be offered a place among the twelve hopefuls, fighting for the Romanian ticket to Copenhagen at the Selecţia Naţională show. Among the confirmed names we have Paula Seling and Ovi, who want to return to the Eurovision Song Contest and try to improve the third place they got in 2010, this year with a song called Miracle. One of the authors of their song is Philip Halloun who took part in the Danish final in 2012 singing his own song, Baby, Love Me, together with Finnish singer Emilia. We find another familiar name among the authors such as Gabriel Băruţă, the pianist from Hotel FM the band that represented Romania at the 2011 Eurovision Song Contest, who has composed Anca Florescu’s song Hearts Collide. The show will be broadcast live from the Sica Alexandrescu Theater in the Transylvanian city of Brasov. During the final the audience will be able to vote for their favourite only once from each phone number and the winner will be chosen by a combination of televote and jury votes.